Dr. Patel performs the restoration of the implant and works with a periodontist, he/she places the implant. 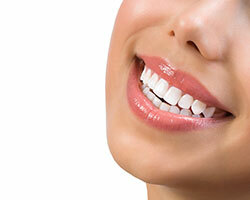 Tired of masking your smile because you don't like the way your teeth look? A smile makeover can be a big boost to your confidence and self-esteem. With a total smile makeover, chipped teeth, cracked teeth, gapped teeth, crooked teeth, stained teeth and gapped teeth can be completely transformed into the smile of your dreams. This is done through a combination of restorative and cosmetic dental treatments, including white fillings, cosmetic dental bonding, porcelain veneers, cosmetic dental crowns, and, dental bridges.